Great Family Home Cozy Enough for Two or for Family and friends, ready now!! Cozy Enough for Two-Or Bring Your Friends and Family and enjoy what this entire wonderful home has to offer. If you are a large group and would like to spend time together in style, comfort, and plenty of space, this is the Vacation Home for you. With four bedrooms, three bathrooms, living room, dinning room, game room, and family room you will be able to enjoy your vacation, reunion, or family get together without standing in line for the bathroom, sitting on the floor or eating in shifts. As a bonus this home is beautifully decorated and furnished in a manner that will meet the highest standards. There is a view of Morro Rock and the ocean from the top level family/gaming room. While you are in the area enjoy a widely diverse number of attractions and special events. San Luis Obispo County is famous for its award winning wineries, pristine beaches and spectacular scenery. Every community in this wonderful area has something special to offer during the year; Farmers Markets, Art in the Park, Harvest Festival, Car Shows, Boat Parade, Surfing Competitions, Outdoor Concerts in the Plaza, Mid State Fair, and the list goes on. 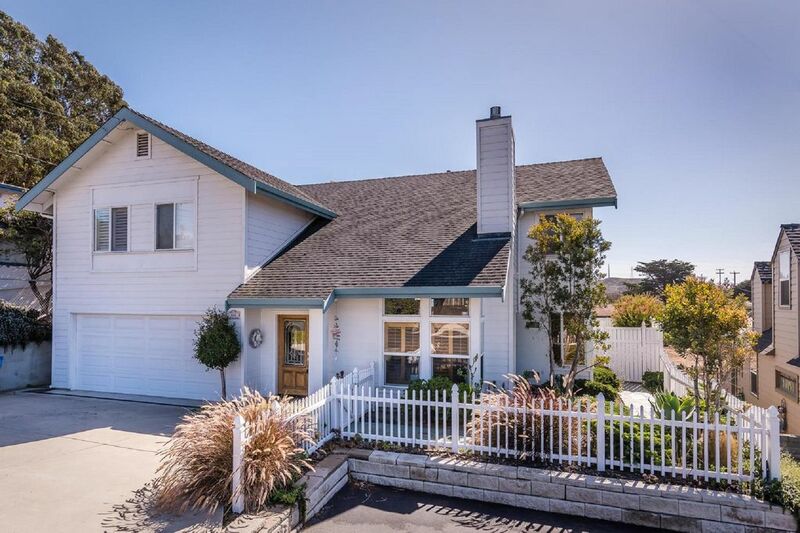 Don't fail to take advantage of all Morro Bay, and this wonderful home, have to offer you on the unforgettable 'Central Coast of California'! Cozy Enough for Two or for Family and friends, ready now!! We just returned from celebrating our son's graduation from Cal Poly. We rented 2 house in Morro Bay for our group of 10. This property is beautiful, newly redone, and very well kept. The patio worked out great for our family BBQ Saturday night. The outdoor fireplace, charcoal bbq, plus a gas grill kept us all warm, well fed, and enjoying s'mores! Having 3.5 bathrooms and 3 separate sitting areas gave everyone plenty of separate space while the overall house provided a great gathering area. Thanks to the owners for sharing their wonderful, nicely decorated home.